Both the aforementioned authors are to be saluted for following through, inexorably, the logic of their diagnoses to arrive at radically new medicines to nurse an ailing world economy. We no more than dot a few i’s and cross a few t’s in keeping with the spirit of the title of this response. The common core of all three assays is that creative macroeconomic accounting has a meaning all of its own. Andresen pursues to its conclusion the prognosis of the demise of physical money. As that world comes to an end, bank money can become Central Bank (CB) money or high-powered money, H. Technology will deliver the 100% reserves alternative. The Chicago school is invoked, naturally, but the new bank is not a narrow bank with near-CB monies as assets. Andresen’s thought experiment starts with commercial banks drawing on their cash line with the CB so as to finance their investment plans. The monetary base is an asset, then, for the CB and a liability for the commercial bank, a reversal of the usual way of depicting those accounts. In another twist of the standard definition, banks intermediate between households and firms, on one hand, and the CB on the other. In the interest of zero-sum accounting purity, the loan portfolio of the bank must be the liabilities of the CB. With this incorporation, we move far away from Chicago. Keynes’ “socialization of investment” comes to mind. The principle is that the State takes upon itself the major risks entailed by large investment projects. The expression was unknown at the time but a modern reader would see private (investment) – public (investment) partnerships in the agenda. Keynes suggested, correspondingly, dividing the government budget into an investment and a consumption component. Thus, we divide G into GI and GC below. Let L stand for the portfolio of loan business that the two banks coordinate upon. We distinguish between disbursements to households and firms, Lh and Lf, respectively. Much of what follows can be gleaned from Hyman Minsky’s writings. We trawl the Minsky Archives at the Bard College for insights (the numbers in the References locate the writings). Thus, fundamental uncertainty, he proposes, is a characteristic of decentralised systems and the discount window is the primary means to “substitute certainty for uncertainty” in capitalist systems (Minsky, 1994, 1996). Normal reserves management of member banks in the early days was founded on the rediscounting of eligible paper. The outcome was a banking system that was safe and secure as well as one that facilitated the accumulation of capital in an economy. What about problems of adverse selection and moral hazard? Minsky envisaged the training of a cadre of professional loan officers skilled in the reading of private and confidential reports from businesses, households, and government enterprises seeking funding (Minsky, 1994). To the loan officers’ cynical “Entrepreneurs lie!”, Minsky offers the rejoinder “Bankers also lie!” (Minsky, 1993). So, to the banker peering over the shoulders of the entrepreneur, we add the CBer peering over the shoulder of the bank. The proforma, a projection of revenues and costs, of cash flows, is the central certification here. The paper is subject to the discipline of cost and demand curves, ex ante, and the desired proforma must operate at the cup of a U-shaped cost curve. The process seeks to transform the optimistic projections of potential borrowers by realistic appraisals which can be submitted to loan oversight committees of banks. The underwriting process combined with the inputs of security analysts are akin to their role in publicly-traded securities. Our account cannot be “compleat” without introducing prices. Minsky’s model delivers two sets of prices, the price of current output and the price of assets. We have, implicitly, subsumed the latter. The job of both the CB and the government is to prevent the prices of capital goods from collapsing. With a reserve ratio of unity for banks, our discussion so far can be summarised in the following balance sheets. We borrow Andresen’s evocative use of square brackets but to suggest haircuts and margins. The system above consists of large numbers and is run by charging fees. The accounts sum to zero and all elements are, in principle, riskless. Interest rates, for instance, do not figure in any description of a narrow bank. Palley’s oft-repeated displeasure at interest rates being charged on reserves is addressed. In addition, the economics of the monetary circuit is at play. CB money is backed. I = Ib + Inb. Our Basics-bank-CB balance sheets swell to that extent. The subsystem is self-contained and a firewall separates it from the other subsystem. However, what if the initial condition is such that this virtuous segment is shrunken compared to the bloated financial sector. Money and resources must move from the latter to the former. Appropriate hikes in the ABRR will swell the monetary base. Note, as the ABRR moves upward, either FIs die out or transform into banks. The rentier is euthanized. The worker remains. What of taxation? We would impose taxes exclusively on the financial-Non Basics Department by the same logic as we have confined government expenditure to supporting Basics activity. It is obvious that the characterisation above is sharp so as to highlight policy choices. Actual implementation will entail floor crossing with weights and coefficients. For instance, the simple identification of Basics with wages of workers will be complicated by the fact that workers hold shares of companies. They are capitalists to that extent. Palley’s target is not Non Basics but toxic assets in the economy. Even there, assets are not born toxic but become so in the course of the cycle. Clearly, we cannot look at housing in unambiguous terms across all phases. Climbing vigorously out of a trough will call for a massive upscaling of all activity, Basics and Non Basics. „For anyone presently seeking enlightenment on the nature of Keynes’s ideas, it is not as easy as it ought be to find out what they are“, writes Grieve. Unfortunately his present paper is not a great contribution to remedy this. It does not make more than a few weak allusions to what in an earlier paper he called the „key proposition of Keynes’s whole theory of ‘employment, interest and money’“ – which is to be found in chapter 17 of the General Theory (Grieve, An issue with own-rates: Keynes borrows from Sraffa, Sraffa criticises Keynes, and present-day commentators get hold of the wrong end of the stick; http://www.strath.ac.uk/media/departments/economics/researchdiscussionpapers/2013/13-19FINAL.pdf). This key proposition is, that the rate of interest on money does not unconditionally adjust to falling marginal efficiencies of other capital goods to support full employment. There is a lower boundary to the money rate of interest, due to the circumstance that the „total return“ („own rate“, the famous (?) q – c + l, GT, p. 226) on money is positive (equals the liquidity premium l), ie the advantage of liquidity exceeds interest receipts when interest rates are low. This is why a certain minimum interest must be paid to savers in order to prevent hoarding. I think this explanation in my words corresponds with Grieve‘s explanation. What must be added for a full comprehension of Keynes‘s theory is, that the „total return“ on money is, as we have seen, l – c (q, the yield of money – cash – is naturally nil), ie a positive „total return“ on money only exists with a money whose liquidity premium is not offset by carrying costs c.
This point is crucial to Keynes‘s analysis of the unemployment equilibrium. Note that he states that „in the absence of money and in the absence … of any other commodity with the assumed characteristics of money, the rates of interest would only reach equilibrium when there is full employment“. However, Keynes was wise enough not to propose carrying costs on money. This proved better for his reputation. In contrast, Maurice Allais, who resumed Keynes‘s liquidity preference theory in his Nobel prize winning „Economie et Intérêt“, proposed carrying costs on money as a compelling consequence of the theory (page 581ff) and the central element of his „socialisme / planisme concurrentiel“. Allais was completely neglected. Unduly. For all those who are seeking enlightenment not only on the problems which Keynes described, but also a way to solve them, Allais‘s „Economie et Intérêt“ is a must. It would be helpful if Dr Hanschitz-Jandl could provide a brief outline of Allais’s “neglected” theory. Thanks for the Dr hc. As a layman I am not really competent to give an outline of Allais‘s theory. But since it is almost impossible to find anything about „Economie et Intérêt“ (E&I) anywhere, I will try to give a brief outline of Allais‘s ideas with an emphasis on his practical conclusions. Let me just say that he he claims unassailable rigour for his theoretical developments and his conclusions. Allais investigates if there is an optimal distribution between direct production (production of consumable goods) and indirect production (production of the means of production – i. e. „capital“) to provide maximum consumption, in the sense of a Pareto optimal situation. This would mean the optimal utilisation of the available ressources and hence maximum efficiency of the economy. Allais finds out that such a „maximum maximorum“ can indeed be found. And he shows that such an optimum cannot be achieved under the existing structural conditions (conditions de structure). The latter two are responsible of economic cycles. Each of them on its own can explain cycles, whereas in the absence of these factors „no general cyclical fluctuation is conceivable“ (p. 553). „En particulier, il est possible de montrer qu‘à quantité de monnaie manuelle constante, la possibilité d‘émission de monnaie scripturale à découvert et la thésaurabilité de la monnaie circulante constituent deux facteurs de déséquilibre dont chacun peut à lui seul expliquer la génération des cycles économiques et en l‘absence desquels aucune fluctuation cyclique générale ne saurait se concevoir“ (E&I, p. 553). Private property of land and a money which can be held without perceivable costs account for always positive (nominal) interest rates. A zero rate of interest, however, was a condition for maximum efficiency (in a stationary, i. e. not growing, economy – the special case of the golden rule of accumulation for a stationary economy; for the first time developped by Allais in E&I). An always positive rate of interest leads to an artificial scarceness of capital. – „Annulation“ (lowering to zero) of the rate of interest (to allow greater welfare in the future at the expense of present consumption) through compulsory saving for old age and central bank policy. These proposals would not only lead to maximum efficiency, they would also mean the disappearance of all „unearned incomes“, i. e. rents. All incomes would be earned through „services to the society“. This is why Allais calls his economic order „socialisme concurrentiel“, or „planisme concurrentiel“ (because it would imply a „planisme de structures“ – but not a „planisme de l‘action / gestion“). This economy would be self-regulating. He does not consider private property of the means of production as a necessary condition for maximum efficiency! From a scientific point of view it was not possible to take position for or against collective or private property of the means of production under this aspect (E&I, p. 611). On the other hand their collective appropriation was not necessary for the disappearance of all kinds of rents. Efficiency was possible under the regime of collective property and social justice was possible under the regime of private property. Allais‘s work requires repeated reading to be understood, he writes. And this by the economist, which I am not. The philosophy of the work, however, is within the reach of everybody, he says. I hope that I could convey some of the philosophy of the work. As concerns his theoretical developments, the reader, I am afraid, will have to study the work itself. In “Recovering Adam Smith’s ethical economics” I didn’t understand this sentence:”Unlike the classical philosophers with their metaphysical elitism, Smith was an enlightenment liberal…” I don’t know what the author means by “metaphysical elitism”. Maybe exist physical elitism or chemical. Comments on Roy H. Grieve’s Paper ‘Right back where we started from’: from ‘the Classics’ to Keynes, and back again’. These comments show that the main basic statements of this paper are erroneous. (1) The Author states that ‘We make no comment on the realism or otherwise of this neoclassical treatment of the labour market, other than to note its key feature – that employment is said to be determined by factors wholly internal to the labour market, i.e. by the (marginal) productivity of labour (Dn) and the conditions of labour supply (Sn) (p.45)’ and ‘With hindsight we can now say that the fundamental error of the classical account of how employment is determined was the failure to integrate into the theoretical analysis the fact that demand for labour is ‘derived demand’, labour demand depending on demand for the output that labour would produce, depending that is to say, on conditions outside the labour market itself’ (p.46). This statement is erroneous because Walras, the central figure among the neoclassical school founders, describes a comprehensive theory of production, capital and money with interdependence between all parts of whole economy. Both, Walras and Marshall used two types of demand functions: (a) the original (ordinary) demand function (curve) – (di = fi(pi)), where the demand function as being where the demand quantity of a certain commodity depends only on its price and conversely the price of any commodity depends only on its quantity; and (b) the derived (general) demand function (for an exchange economy di = fi(p2, p3, …, pm)), where the demand quantity of any commodity depends on the prices of all commodities and primary factors (included money); and it is obtained by the solution of the model for each individual economy for any system of random prices. It must be stressed that this demand function varies depending on the type of economy in question. In every subsequent economy a number of prices are extended depending on the new commodities and services added to this economy. For example, in the production economy the prices of services are added – (di = fi (p2, p3, pm; q1, q2, …, qm)); etc. In the process of equilibrium establishment and re-establishment (tâtonnement) their aggregate demand functions are used (Walras; Marshall; Davar, 2012 and 2014b). So, according to Walras’s approach, the equilibrium employment-unemployment of primary factors (including labor) is determined by the conditions of the whole economy (production and consumption) simultaneously; and therefore, the author’s assertion that ‘Neoclassical theorists focused their attention on the labour market, not on the markets for output’ is erroneous. 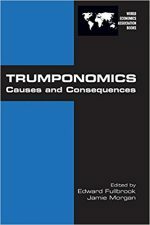 (2) The author accepts, unfortunately, the erroneous assertion of post-Walras authors, that Neoclassical (Walras’s) economy is characterized by full employment: ‘From the Keynesian perspective there was no reason to suppose the natural default position of the economy was that of full employment’ (p.48). However, Walras’s approach allows for determining whether is there is unemployment (voluntary) or not (Davar, 1994 and 2014b). Under the assumptions, used in Walras’s approach, if there is a general equilibrium we could conclude that there should be at most one equilibrium point for a certain service and good. If the equilibrium point for a certain service is on the upper boundary point of the supply curve (called the right boundary point in the case of post-Walras authors, who used Marshall’s curves, with axes interchanged, namely, quantity on the horizontal axis, and price on the vertical one), that is, the available quantity point, then it may be said this service is to be fully employed. But, if an equilibrium point is located below the upper point (left side of the right border point), this indicates unemployment in that part of the service, which is given by the difference between the boundary point (available quantity) and equilibrium point. Of course, if we take into account the fact that the total offer for services is based on the solution of the model for individuals, we may conclude that, in such a situation, the individual is “voluntarily unemployed”. This is because the wage he or she requires to be employed is higher than the equilibrium wage. In other words, in this situation that depends on a person’s contribution to the whole economy, unemployed means voluntarily unemployed. In the case described in the discussed paper, the magnitude of voluntary unemployment is the difference between full employment (Nf) and equilibrium employment (N1), this is (Nf – N1). In the following passage, the author erroneously states that ‘To achieve full employment, all that is required (according to the neoclassical theory) is that the workforce accept a lower real wage, = W2. If they do, the labour supply curve shifts downwards to Sn2 and employment will increase until the marginal product of labour again equals the value of the (now reduced) real wage. The establishment of this lower wage rate – workers have adopted more realistic assessment of what is an acceptable reward for getting up in the morning – is the necessary and sufficient condition for employment to increase from N1 to Nf ‘ (p.46). This statement is erroneous, because it ignores one of the fundamental assumptions of Walras’s theory, namely, free competition. At the same time, Walras discussed the variation of prices, or re-establishing the equilibrium following changes in the given basic data for an individual or group. This means that, on the one hand, if any individual as supplier of services discovers that in the equilibrium state his services (or goods) are not traded, he might changes his initial data according to the results of obtained equilibrium state. Yet, on the other hand, if any individual as demander of commodities discovers that his demand was not satisfied he also might change his initial endowment. Then, the new process of equilibrium establishment is required. However, this does not mean that the new equilibrium will include full employment; in general, the new equilibrium is also characterized by voluntary unemployment. (3) The author states that ‘Keynes’s explanation of the occurrence of involuntary unemployment depended on his identifying aggregate demand for output, not the conditions of labour supply, as the key independent determinant of production and employment within the economy’ (p.47). This statement is erroneous because the demand of labour is determined by its demand for production, but equilibrium of labour is obtained by the conditions of the demand and supply of the labour market (Davar, 2104a). 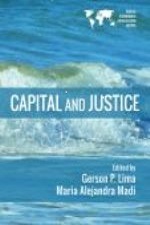 The author continues: ‘Equilibrium is established when aggregate supply of output corresponds to aggregate demand, not necessarily when the demand for labour matches the supply of labour on offer’ (p.49). But, the author himself, finally, defines the equilibrium point of labour market as a point intersection between the demand for and the supply of labour (see Figures 2a and 2b). Therefore, the following statement of the authors: ‘Keynes’s key insight, as revealed in the General Theory, had turned the traditional theory of employment on its head: as he explained the situation, the main line of causation linking the goods and labour markets ran not from the labour market to the goods markets, but the other way, from the goods markets to the labour market. Of great practical importance, the dominant economic problem of the day was now recognised to be one of involuntary unemployment, with its resolution to be found in stimulating aggregate demand, not in cutting wages’ (p.51) is also incorrect (Keynes; Davar, 2014a). (4) Any research (paper) on Keynes’s involuntary unemployment, in our opinion, will not be complete without relating to Lange’s contribution and Hazlitt’s criticism. Marshall, A. (1952). Principles of Economics, Eight Edition, The Macmillan Company New York. Walras, L. (1954) Elements of Pure Economics. Translated by W. Jaffe, London: Allen and Unwin. I would say to Dr Davar that he should take a look at Michio Morishima’s study of Walras’s Economics (CUP,1977). Apropos the relation between the Walrasian model and Keynes’s General Theory, Morishima makes the point that, as compared with the Walrasian general equilibrium system, the Keynesian model is of a system which is “overdetermined”. The demand for investment goods is not tied to the other elements of the system in such a way that, with a fall in aggregate demand, and the emergence of unemployment, that excess supply of labour implies a corresponding excess demand for goods. Demand for goods and labour may be replaced by a demand for liquidity, meaning that there emerges a net excess supply (of labour) unable to create a corresponding excess demand for goods. It may be that, on occasion, the parameters of the system are such that the conditions of labour supply and of demand for produced output are incompatible; if so, price adjustment will not bring a solution, since, in the given circumstances, no solution exists to be found. In the real world as it is not possible to insure against all eventualities, liquidity preference cannot be ignored. The unifying bond of heterodox economists is the conviction that there is something fundamentally wrong with Orthodoxy. With this comes the expectation that Heterodoxy is in some unspecified sense better. Better, clearly, has two meanings: morally better or scientifically better. And here the confusion begins. What has to be strictly kept apart is political economics and theoretical economics. Hence, there are two kinds of Heterodoxy: those economists who reject Orthodoxy ultimately for moral reasons and those who reject it ultimately for methodological reasons. To simply state that conventional economics is bad science blurs this distinction. With Adam Smith economics had a bad start. Smith was a moral philosopher with a shallow scientific understanding. His ambition consisted in copying Newton. Heterodoxy never bought into this. Veblen, for example asked: Why is Economics not an Evolutionary Science? The question indicates that there is something fundamentally wrong with equilibrium economics. However, it claims also that economics is a science. This is crucial. Veblen signals that he is in a scientific discourse which means by implication that he is not in a political debate. Why is this crucial? Because this blog, like many others, constantly mixes politics with science. There is nothing wrong with politics, of course, but the hijacking of science by folks with a political agenda is simply unacceptable. It is my understanding that this blog is about theoretical economics and not political economics. The criteria of theoretical economics are formal and material consistency. From this follows for Heterodoxy, first, to identify the errors/mistakes of orthodox economics, and second, to develop a paradigm that complies better with the two criteria of science. The effective part of heterodox critique goes to the heart of the matter, that is, to the foundational assumptions of Orthodoxy. We have two criteria to assess a theory: material consistency and formal consistency. A theory must satisfy both criteria, that is to say, it can be rejected either on empirical or on logical grounds alone. Barzilai has single-handedly brought down the entire theoretical superstructure of marginalism from exchange to growth and distribution by exposing the fundamental formal flaw of utility theory: conventional economics is out of mathematics, out of logic, and therefore out of science. In a diffuse way, heterodox economists have always felt this. However, feeling does not count for much in science. What counts is proof. Barzilai has accomplished the first and foremost task of heterodox economics. Hahn’s premonition has literally come true. The orthodox citatel has never been safe and Barzilai has provided the ultimate formal proof. The title should read: Barzilai and the crumbling of the unsafe citatel. Growth of knowledge is the characteristic of science. This growth is mostly smooth, but sometimes it takes the form of a disruptive paradigm shift. In marked contrast, secular stagnation is the outstanding characteristic of economic thinking. This insight is Keynes’s most valuable methodological contribution. In no uncertain terms he called for a paradigm shift. However, Keynes did not follow his own advice. And what his followers put into practice was his political program which indeed has a weak theoretical foundation because Keynesians never came forth with the non-Euclidean axioms. There are a lot of new assumptions and commonsensical assertions in the General Theory, but there is no way around it: the formal foundations are logically defective (see 2013 and 2014). Since the 1930s, when Keynes saw more clearly than his fellow economists that the classical axioms had been refuted once and for all by the Great Depression, economics is in dire need of new formal foundations. There is no way back before Keynes; and to stay any longer at Keynes’s juncture is equally impossible. New Classicals have not got the first point, New Keynesians not the second (cf. Quiggin, 2010). Lacking correct formal foundations, both approaches are agonizing detours. Why have economists not extricated themselves from the circle of stagnation? Neither Classical nor Keynesian economists have transcended (i) supply-function–demand-function–equilibrium, (ii) invisible hand coordination of qualitatively different markets, (iii) the belief that in the end all turns out for the best, and if not, either labor, the central bank, or the government has been sticky or wrong-headed. In view of this big picture, the finer points of IS-LM and AS/AD are not of particular significance and there is no need to recycle them furthermore (see 2014). Economy, 49(3): 361–393. URL http://www.jstor.org/stable/1824735. Goodwin finishes her article with the call to contribute to making the world a better place. With this, all economists can agree. In fact, this is what they have done, or claim to have done, since Adam Smith. How do economists contribute to solutions? They first of all try to figure out how the economy works. This is the precondition, because if we do not know how the economy works we do not really understand what the problem is and cannot do anything effective about it. The economist’s professional contribution to the betterment of the human condition takes the form of a scientific theory. But have economists developed the true theory? Not yet. Goodwin, speaking for many, neither agrees with conventional theory nor with the behavioral assumptions as codified in the textbooks. The ‘sorry state’ of the economic culture, Wall St. in particular, which gradually evolved from the behavioral axiom of rational self-interest, has repeatedly ‘bubbled up into disasters’. That is, economists do not solve problems; to the contrary, they cause them. In order to prevent future crises, a new approach is needed. Goodwin maintains that conventional economics has become a menace to the public. The ultimate reason is that it rests on a questionable behavioral premise. Methodologists, too, have identified this weak spot. Since J. S. Mill economists have never defended the axiom of rational self-interest as a social norm but excused it as a necessary over-simplification. However, despite all caveats, it was almost inevitable that in the rhetoric of popularizers the rationality axiom mutated from an over-simplification to ‘greed is good’. Therefore, it is of utmost importance to keep political economics and theoretical economics strictly apart. In theoretical economics there is no need to contrast pure selfish behavior with honesty, work for the common good, and caring. The task of theoretical economics is to explain how the economy works and neither to deny nor to preach social values. It is politics, philosophy, and religion — the antipodes of science — where the struggle about values takes place. Having identified the weak spot of conventional economics, there are two ways open: (i) to replace the narrow axiom of rational self-interest by a broader set of behavioral assumptions, or (ii), to exclude behavioral assumptions altogether from the axiomatic foundations of economics. Goodwin chooses the first alternative. That is a mistake. Psychologism leads into the morass of pseudo-science. The general problem with behavioral propositions is that they are vague and uncertain. There is no behavioral assumption that is strong enough to bear a comprehensive theoretical superstructure. But worse, no way leads from the understanding of human motivations and behavior to the understanding of how the economy works (see 2014b). Yes, of course, neoclassical economist claims to have found the way. It is widely known that general equilibrium theory does not represent any feasible economy (Ackerman und Nadal, 2004). Because economics is entirely different from psychology, sociology, and ethics the solution to the methodological problem spotted by Goodwin consists in this: theoretical economics must not be based on behavioral axioms but on objective structural axioms (see 2014a and 2013). Economists do not make the world a better place by justifying bad behavior or preaching good behavior, only by providing the true theory about how the economy works. It is true/false and not good/bad that science is all about. History of Science. Cambridge, MA, London: MIT Press. in Economics, pages 87–117. Cambridge: Cambridge University Press. Rationality. London, New York, NY: Routledge. I am very sorry to say that Prof. R. Grieve’s reply failed to address my claims; and it appears that he brings coincidental and misinformed arguments using the eminent authorities in general equilibrium theory such as M. Morishima. It is true that M. Morishima declared that ‘Indeed, it is the main purpose of this book to show how close Walras was to Keynes’ (p.101); and he believed that “If we could revise the letter (Walras model-ED) as to make it consistent with the former (Keynes model-ED), we would have a model which could be equivalent to Keynes’ model’ (p. 7). However, the result was unsuccessful by two crucial causes: (a) M. Morishima, unfortunately, did not understand and misinterpret Walras’s entire theory to the end; some glaring examples (a) M. Morishima, like other economists, erroneously states that ‘Walras concluded that full employment of factors, efficient production and wasteless distribution products were assured in competitive economies’ (p.58; see also pp.60 and 187); and (b) M. Morishima also erroneously asserted that ‘Thus we find that that Walras’ law (formulated post-Walras authors-E.D.) does not hold in the original system of general equilibrium of production due to Walras’ (p.5) and ‘One of Walras’ deficiencies must be ascribed to the fact that he did not know Walras’ law’ (!-E.D.). Finally, Prof. R. Grieve curiously concludes that ‘liquidity preference cannot be ignored’. But, By M. Morishima stated that ‘It is true that Walras anticipated the Keynesian theory of liquidity preference by deriving the individual’s demand for cash balances (encaisse desiree), as well as their savings, from utility analysis of consumer behaviour’ (p.205). the labor market (for the restatement see 2013a). eternal return but also Heterodoxy. General Period Core Theorem. SSRN Working Paper Series, 2222123: 1–11. Kakarot-Handtke, E. (2013b). Why Post Keynesianism is Not Yet a Science. It seems that your comment is out of context. ‘Walras’ law’ is ambiguous. There is the original formulated by Walras himself and there is the fallacy that was formulated later on. I assume you refer to the later. (1) Despite what is stated in the comment, the law formulated by post-Walras authors relates to services as Arrow-Debreu asserted: ‘A good may be defined by its physical characteristics, its location in space, and the date of its delivery. Goods differing in any of these characteristics will be regarded as different. Services are regarded as goods’ (Arrow and Hahn, p. 17) (our emphasizes). (2) Even if we assume that this law relates only to goods, it is folly to consider the possibility of a good’s price equal 0 and call it “economics”. Arrow, K. J. and F. H. Hahn, General Competitive Analysis, San Francisco: Holden-Day, INC, 1971). My comment of 24 Sep clearly states that both the Keynesian and the Walrasian approaches are defective. Thus, to compare them is like comparing the ether and the phlogiston theory. This is simply not a productive use of scarce resources. It is obvious that the only way out of the impasse is to develop a new paradigm. To continue the discussion about the finer points of bygones is futile. It is widely known that the Walrasian approach is a failure (Ackerman and Nadal, 2004) and I have provided the decisive axiomatic arguments in my working papers. There is no good reason left why anyone should occupy himself with any version of conventional equilibrium theory. My comments are to be understood as an invitation to new economic thinking. Evolutionary development of the economic science is impossible without substitution some of paradigms of current theory which become incompatible to the changeable reality. However, in order to identify which paradigms to be have substituted it is necessary to understand and interpret genuinely the current (old) theory. The works which have been attempting to show that that ‘the Walrasian approach is a failure (Ackerman and Nadal, 2004)’ are based on the crucial mistake, namely, they have been identified two different theories: post-Walras authors’ theory and Walras’s original theory with each other; and, these terms are used interchangeably as if they aren’t any different from each other. The central reason for such a situation is that the first group of economists, which are in the minority, who have read Walras’s original works, misunderstood and misinterpreted them, from Pareto through Keynes and Arrow-Debreu; and the second group of economists, which are in the majority, including modern authors who are writing about Walras’s theory, have not read them in the original and have been saturated by the erroneous “Walras’s approach” of the first group of economists. What Barzilai’s paper says is: Ordinal things cannot be assigned contiuous or non-continuous cardinal representation. Of course this is wrong – anyone who read graduate micro textbooks would see the mathematical proofs of why that assignment is possible. What is really needed is refuation of these proofs, not Barzilai’s approach. What he says is that integers cannot be studied in realm of real numbers. Of course that is false. Utility/preference can and should be represented in a one-dimensional affine space, i.e. a straight line or a homogeneous field, that’s – as far as I can see – what Professor Jonathan Barzilai told us. Of course not all transformation will share same set of properties. Of course some monotone transformation will be non-differentiable. But that does not mean that differentiable transformations cannot be used. The question is, do differentiable transformations give us the same equilibrium and quantitative results that do not directly invoke utility (things like outputs) to the results obtained by purely ordinal approach? Of course marginal utility here then is not a real value. Different transformations would give us different results. But if the question stated gives us affirmative answers, then we are good to go. Invoking abstract algebra has nothing to do with this. “How can we are good to go” if different (positive) transformations could give results of opposite sign as in the case of substitutes or complementaries for the same goods ?